But most of all, I want to thank all the children! I want to thank you for the nice drinks and treats for me and apples, carrots and other goodies for the reindeer. Thank you for the great letters and emails too! Hurray for you! And “Thank you!” for watching me on the new Santa Snooper! I hope you liked it. But, I want you to always remember something. Santa Claus and everyone at the North Pole love you very much. It does not matter what I bring you. I still love you — almost as much as your grown-ups do! P.S. Did you like the presents ? Did you like the Santa Snooper? You can leave a message for me. Or, scroll down to see what others have written! i love you!!!! come to my house.OK? I think last year went realy good because i got most of the things i wanted so i hope you do the same for me this year. merry Christmas. p.s i just wanted to say that most people don’t belive in you but i do alot and i know when im grown up and have kids i’ll know that they will belive in you have a good Cristmas. Thanks to everyone who works at the north pole.I’m Alyssa Fuehrer and I am 7 years old .Santa, when you come to my mamaw’s house in my room its panted purple,green,yellow,orange, and blue. hey why can’t christmas be nowww!!!!!! i can not wait for chrismas!!!!! You are so sweet, beautiful. Merry Christmas santa ! I want you to come to my house because it will be cool! Do you like you reindeer ??? hi Santa Claus i want to tell you what we did for our Christmas list these are the toys that Ethan.S is going to get for this year 2014 is this the toys are . 3.cars 2 bike and helmet! Hey Santa? Why are you not posting this year 2014? I loved what you got me last year,the dives did a wonderful job too.i really want to thank you and the elfs. I love you and the elves. Hi Santa I really liked the Santa snooper, it was really nice to see what the north pole looked like! Remember only 5 more weeks till CHRISTMAS! I loved the presents that you brought me last year the scooter was my favourite thank you all so much. my brother ruairi also loved his presents he would also like to say thank you. I hope we have been good enough this year. my brother might be a little bit bold but it means a lot to me that you bring him presents I hope you all have a jolly good Christmas and a happy new year. santa thank you for my present said my big sister savannah.and i thank you to. hi Santa I like the tings you give me but I am still wating on the I pad and I pod thank you Mia! i love santa he is cool and fun and some my friends do’t think santa is real.. I would like to take a moment to thank Santa. Without him all the boys and girls wouldnt have the nice toys they have. So thank you Santa you do a great job. Thank you to the Elf’s and to the reindeer. To Mrs Claus aswell. Thanks, I don’t always get what I want, but things I get are always awesome. Hi Santa this is Summer and I just wanted to thank you for all of the awesome things you got me last year. I also have one of your elvs tell my elf I said ”HI”. This year I want makeup. You are amazing Santa I cant believe how inspiring you are I love you! Thank you! Hey santa how’s it going. This year we will be doing a tradition were we go up to my grandmas house and not at my house. Santa all I want for Christmas this year is a apple computer plz or a laptop plz I want to connect with my friend faith on mindcraft. Well only 59 more days till CHRISTMAS !!!!!!!!!!! De u on Thursday 25 20014 on December. Merry christmas santa. See u when you come to visit me at my house or my grandmas house cuz sometimes we do a tradtion up there and spend christmas up there 74 more sleeps unitl christmas. i meant to say 2014! I can’t wait to see you on Christmas. It is the best time of the year. I can’t wait to see you on Christmas. saaaantaaaa! why didn’t you came to our house? Santa! Your blog is amazing I started with the day before Christmas Eve and then I went to Christmas Eve and then I came here and I have to tell you they were all great! I love you and the elves and the reindeer and mrs Claus very much too! I hope you can bring me what I want this year if you didn’t already know I want a phone and/or an apple computer! Thx! I know there is still 71 days until Christmas Eve but that seems like no time at all to me! Love ya santa! Marry Christmas Santa. See u when u come and visit me at my house or my grandmas house cuz sometimes we do a tradition up there and spend Christmas up there. Yayayayayayahayayay only 74 more sleeps till u come yayayayay 🙂 🙂 🙂 :-). See u December 25-2014 have a grate time and be careful and don’t hurt ur self. MARRY CHRISTMAS people. P.s. Dose ur moms ever tell u that why r u already doing stuff that retaliates to Christmas. Anyway bye guys……………. I’m glad you had fun Santa!! Hope you like the cookies I left you! i miss him very much and you and all the reindeers . Christmas is the most exciting event of my life. Ilove youall very much. Christmas this year will be in 3 monthsits coming so quick love you all. Thanks for everything last year cant wait for this year!!! Thanks so much Santa! I really really really appreciate your letter! Thank you for replying my email. I enjoyed last Christmas it was amasing.Ithink I heard the raindeers on the roof.Iam excited for next Christmas only 7 months to go. Thanks for the legos but i really wanted a phone. i can’t believe you said a present dosent come from bags,boxes,and stores.That is the most crazy thing i have ever herd.Who dosent shop these days?Well exsept for you,you make toys by hand.My mom is calling me to go shopping,i’ve got to go.COMMING MOM! santa I am a I am a little late to say it but I love you and thank you for the presents but I know it is not about the presents it is about family and JESUS!!! I want a 3ds next year. I liked the Santa Snooper. I know that the elves work hard making toys so I will use all my heart to love the toys they make. I enjoyed the santa snooper and all my preasants I got this year im very proud of you to santa you worked really hard ps; did you like the sausage rolls and chocolate buttons we gave you ? MERRY CHRISTMAS SANTA AND A HAPPY NEW YEAR! I just want to say thanks for the chocoalate, hair boble ana hairband and my new wii game, i absolutly love it, it’s great. I’m happy with what i got from you, so thanks again. 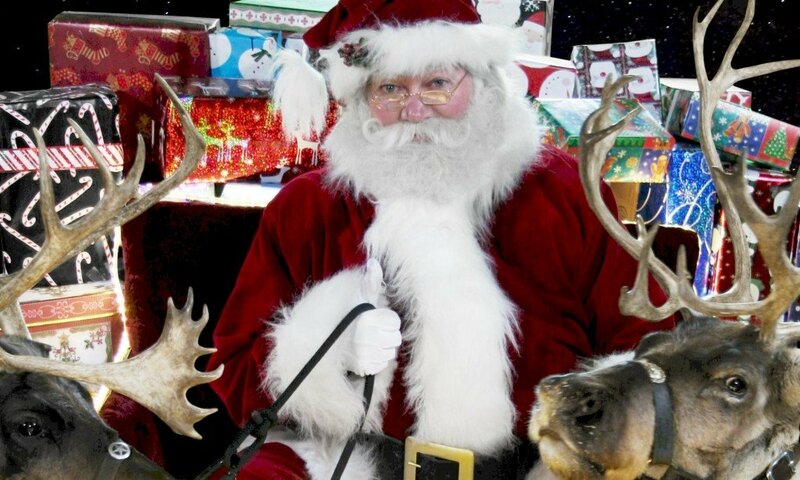 Thanks Santa so much for all the cool presents I got from you this year.My dogs and cat want to thank you too for the presents you gave them.Hope you liked the chocolate bars and biscuits and milk for you and I hope reindeer liked the juicy carrot.Lots of love like jelly tots from Leanne. I really like the presents you got me Thank you!! Merry Christmas Santa! I want to say thank you. I love this website and I want to show it to my kids when I get older. Thank you for making this website. I will show it to my family. They would love it! Thank you Santa for being such a big help and getting me all I wanted. I want to give Santa credit. I even think I saw Rudolph last night oh his nose is so bright!!!! Previous PostPrevious Christmas Eve 2013! Next PostNext Christmas Hints – What is one month today?